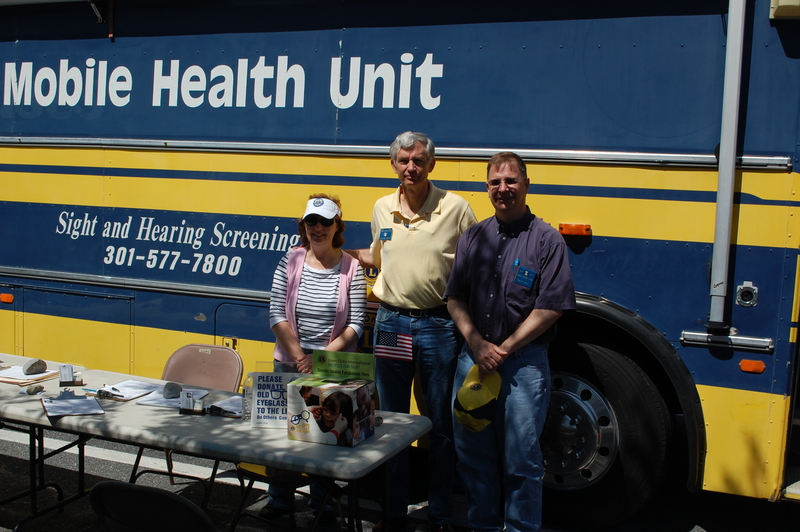 Lions Jean McCloskey, John McCloskey, and David Hull welcome community members to their free health screenings. The Sandy Spring Lions Club and EyeWorks Vision Care Center co-hosted a screening event at Olney Village Center on Friday, May 30 and Saturday, May 31, 2014. Using the Mobile Health Unit provided by the District 22C Lions Community Outreach Foundation, the Lions provided free vision, hearing, and glaucoma screenings to members of the public from 10:00 AM to 4:00 PM each day. A total of 64 screenings were performed, with 34 clients being referred to a medical professional for further testing. Certificates for discounts on eye exams and eyeglass purchases were provided by EyeWorks for those receiving vision referrals. A local audiologist also left business cards for those receiving hearing referrals. 20 pairs of donated eyeglasses and $50 in voluntary contributions were received. The weatherman cooperated with warm, sunny weather on both days. A total of 14 Lions contributed 46 hours of service. 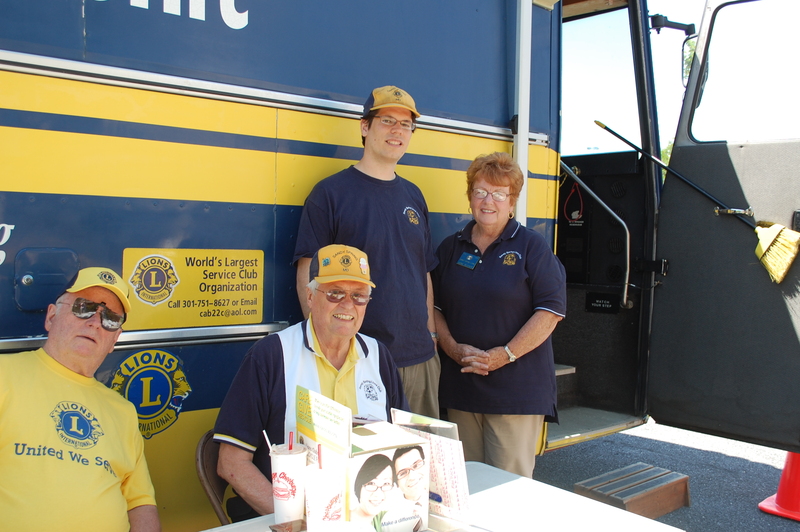 New Lions Anne Bucher, David Hull, John McCloskey, and Jean McCloskey were trained on the screening equipment. Special kudos to Lion Bill Lavely for arranging delivery and return of the Mobile Health Unit to the LCOF offices at Melwood. This entry was posted in olney, service, vision. Bookmark the permalink.